Selecting a fast gaming mouse with a good design is a must for every gamer. Lacking any of these two may result in losing the game. Do you want to lose the game? 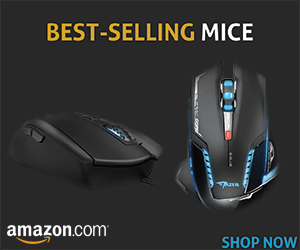 Obviously not, so you should invest in the fastest mouse. 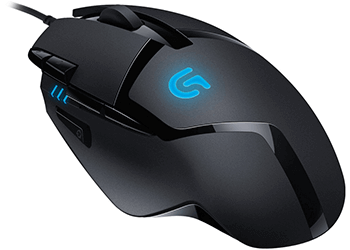 The Logitech G402 FPS gaming mouse is a fast budget gaming mouse, offering 1 MS report rate. However, you may not really get the 1 MS rate, but close. For example, you’ll get 1.3 MS or so, which is really good for making a mouse fast. As far as the design is concerned, it looks nice with a matte finish that avoids sweating as well. However, the placement of buttons may or may not be pleasing to you (depends on the player). 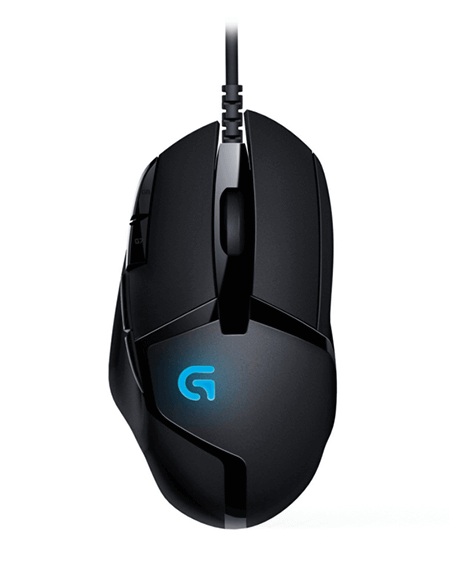 While starters want a gaming mouse in which they can easily differentiate buttons to perform actions, the Logitech G402 gaming mouse is not perfect at this level. For example, backward and forward buttons look identical without many differences, and this is the reason sometimes it is hard to identify which button has to be pressed. However, this only be an issue when you initially switch to this mouse. Once you have used it for a few days, this problem should not be on your list. While starters want a gaming mouse in which they can easily differentiate buttons to perform actions, the Logitech G402 is not perfect at this level. For example, backward and forward buttons look identical without many differences, and this is the reason sometimes it is hard to identify which button has to be pressed. However, this will be the issue only when you switch to this mouse. Once you have used it for a few days, this problem should not be on your list. After all, what matters more when picking up the best gaming mouse is the speed, ease of changing DPI, high DPI, more buttons, and a programming feature that lets you program different buttons on the mouse as per your ease. One more thing that matters for a gamer is profiled memory within the mouse so that you can take it anywhere and use your favourite settings done with mouse buttons. With these aspects, Logitech G402 stands in a good position. It has 8 programmable buttons that include left, right, forward, backward, DPI changer, and more. You can program each of the buttons given on the mouse as per your ease of playing different games. The software is outstanding with easy to configure settings that let you create different profiles. You can create multiple profiles and use them with your favourite games. Moreover, the mouse has its own memory in which it stores some of the profiles you configure while programming the mouse. Just carry the mouse with you and play the game without installing the software. Do you have more to add to this mouse? Feel free to write it in the comment box.